A Hartsville man was killed in a motorcycle accident when he was struck by another car. The motorcyclist was riding in a parade that took place over the July 4th holiday. We are deeply saddened by this tragic accident, and our thoughts and prayers go out to the victim and his family. The July 4th holiday is a wonderful time to celebrate our country’s independence. Many people use the holiday as an opportunity to travel or participate in outdoor recreational activities. Unfortunately, it can also be a very dangerous time of the year. We often hear about tragic accidents like this one that happen over the holiday season. Whether you have been injured in a motorcycle accident, boating accident, or auto accident, if you were injured in an accident over the recent Fourth of July holiday, the Goings Law Firm, LLC is here for you. We are experienced in handling cases all over South Carolina. Call us today at (803) 350-9230, for a free case consultation. Chandler’s Law is a law that was passed by the South Carolina General Assembly on May 11, 2011. The law establishes crucial safety requirements and regulations for children who operate all terrain vehicles, better known as “ATV’s or “4-Wheelers.” The law is named in honor of Chandler Saylor. Chandler was a young boy from South Carolina who died in a tragic ATV accident while visiting a friend’s house. Chandler was supposed to be at a “swimming” party. His parents did not know Chandler would be riding ATV’s at the party. In the wake of their son’s death, Chandler’s parents worked with the general assembly for eight years to ensure that South Carolina passed adequate ATV safety laws for children. A child must be 6 years old to ride an ATV. If a child is under age 16 and does not have a driver’s license, then they are not allowed to have passengers on the ATV. If a child is 15 years old or younger and will be riding an ATV on public land or on private property without a parent’s or legal guardian’s direct visual supervision, then they must take a professional ATV training course before riding an ATV. All children 15 years old and younger must wear a helmet and safety goggles when riding an ATV. It is unlawful for a parent or legal guardian with a child who is less than 16 years old to knowingly allow their child to operate an ATV in violation of the Age Restriction Warning Label affixed by the manufacturer of the ATV. Consult with a South Carolina ATV Accident Attorney Today! At the Goings Law Firm, LLC, we believe that children are one of the greatest joys in this world. Too many children have been injured or killed as a result of the dangers posed by ATV’s. Chandler’s law attempts to ensure greater safety for our children. Our thoughts and prayers go out Chandler’s parents, and all those like him who have suffered similar tragedies. If you or a loved one has been injured as a result of an ATV accident, either due to the negligence of others or a manufacturer’s defect, then contact the Goings Law Firm, LLC today. Our ATV accident attorneys understand the pain, suffering, and mental trauma that can be involved with the loss of a loved one. We are experienced personal injury attorneys in Columbia, South Carolina, and offer a no-obligation and free case evaluation by calling (803) 350-9230 or contacting us online. For many people, South Carolina can be an outdoorsman’s paradise. Our moderate weather conditions allow citizens to enjoy outdoor recreation activities during all months of the year. All terrain vehicles, more commonly known as “ATV’s” or “four wheelers” are commonly used for many outdoors activities in our state. Some choose to use these vehicles for hunting activities, while others simply ride ATV’s for recreational enjoyment. Before getting on an ATV, the Goings Law Firm wants you to be aware of the risks involved when riding these vehicles. The Consumer Products Safety Commission (CPSC) has shown research that suggests, injuries can occur on ATV’s from all sorts of accidents, including collisions and roll-overs. 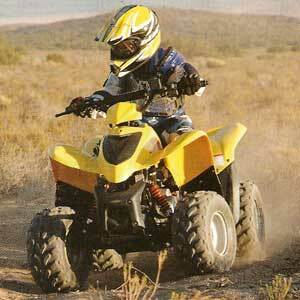 The most recent numbers from the CPSC suggest that there were over 100,000 ATV related injuries in 2010. Further the CPSC has conducted research that shows over half of accidents resulting in injuries happen when the driver was not wearing a helmet. 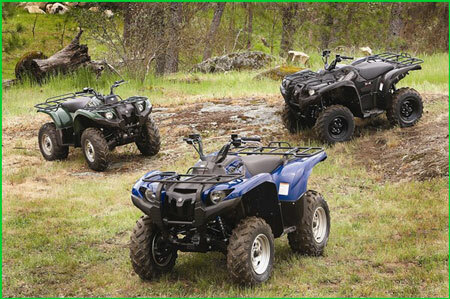 Because drivers and riders sit on top of these ATV’s, they offer very little protection in the event of an accident. 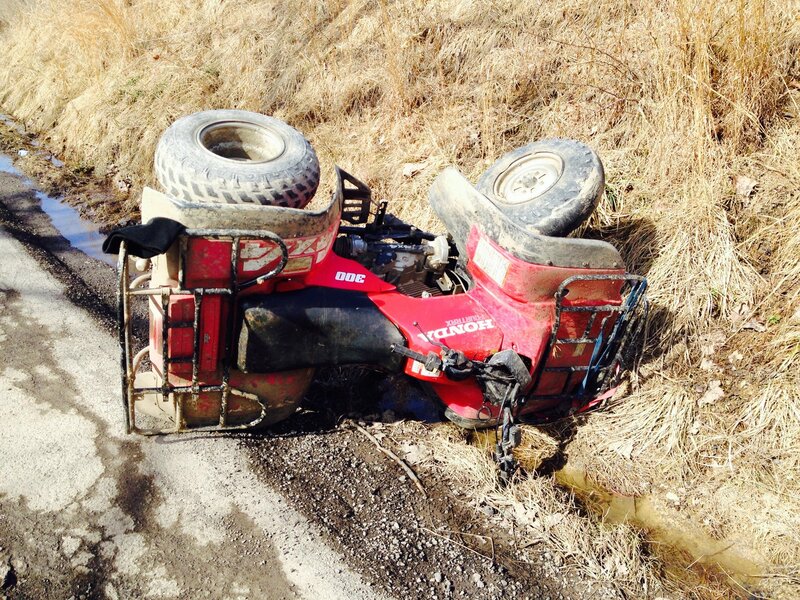 Further, ATV’s overturn in approximately 60% of ATV accidents where an injury results. Because these vehicles can be very heavy, this can pose a significant danger to riders and passengers. ATV accidents can be especially dangerous for passengers who are not driving ATV’s. Further, in many instances children who drive ATV’s are doing so outside the supervision of a qualified adult, or in some cases without their parent’s knowledge at all. When operated recklessly or by operators not qualified to do so, the risk of an ATV or 4-wheeler accident becomes substantially elevated for everyone around them. If you have been injured in an ATV or 4-wheeler accident, call the Goings Law Firm, LLC at (803) 350-9230 to speak with a Columbia ATV or four wheeler accident lawyer today.